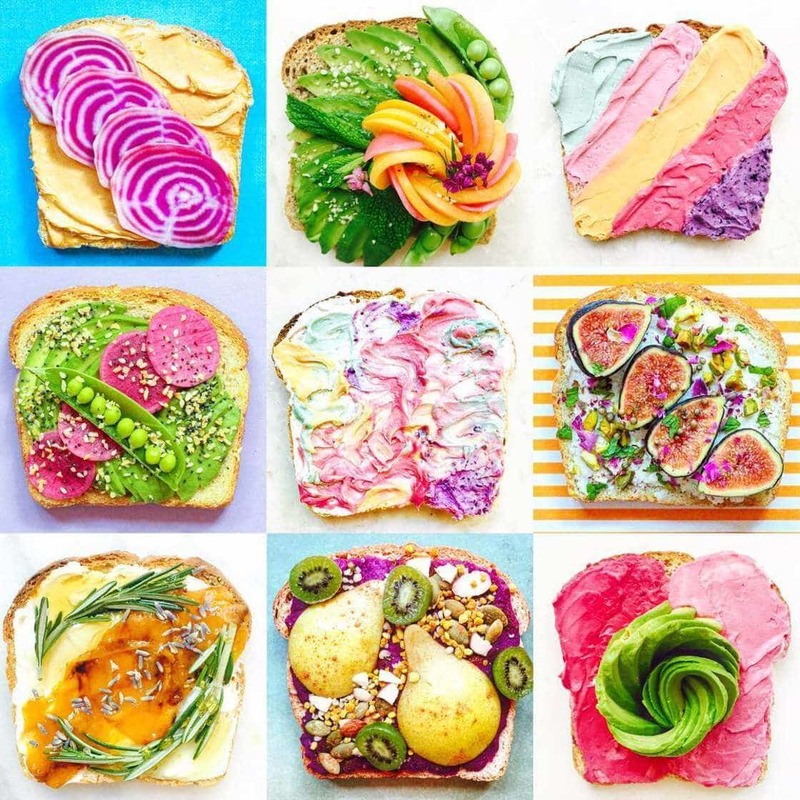 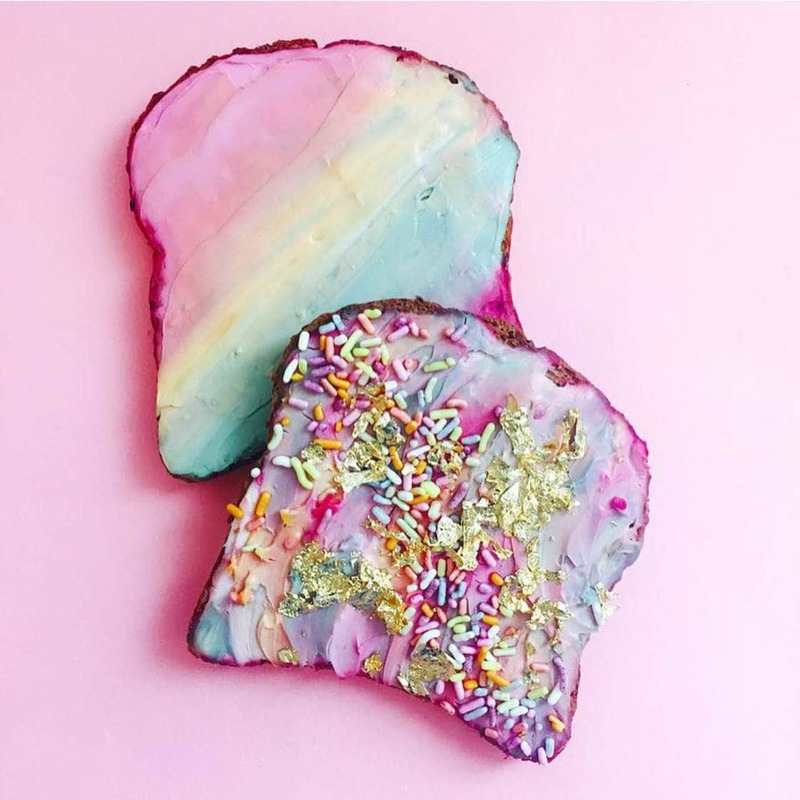 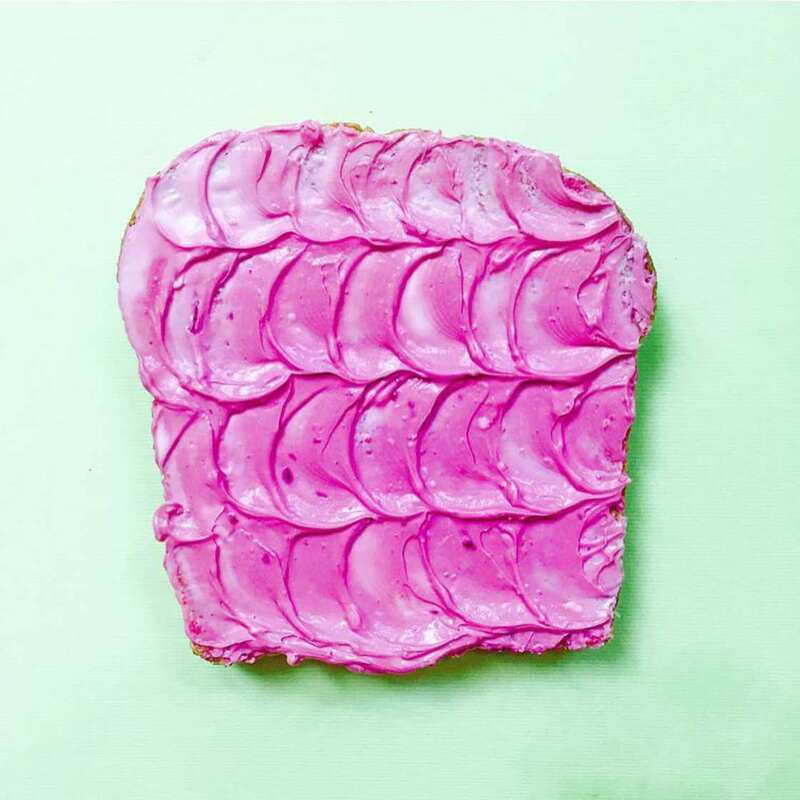 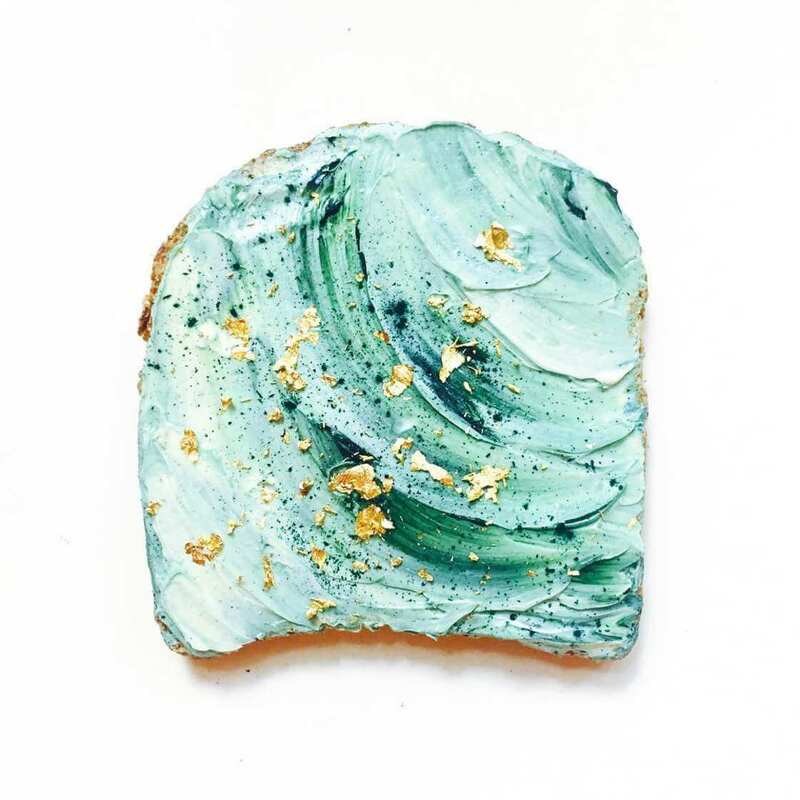 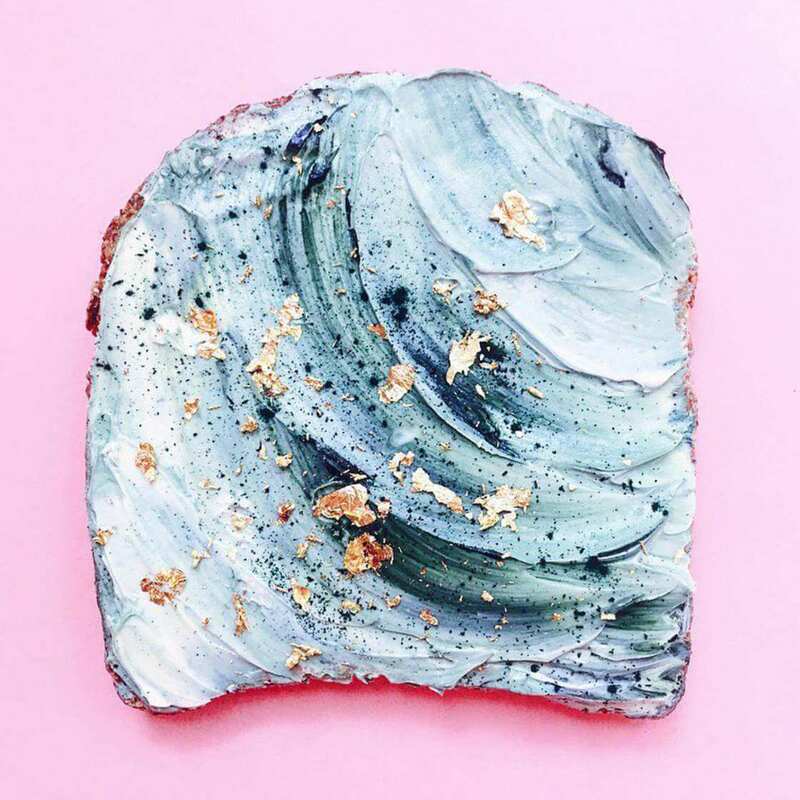 Going by names such as “Mermaid” and “Unicorn” toast, these colorful treats are just as healthy for you as they’re beautiful. 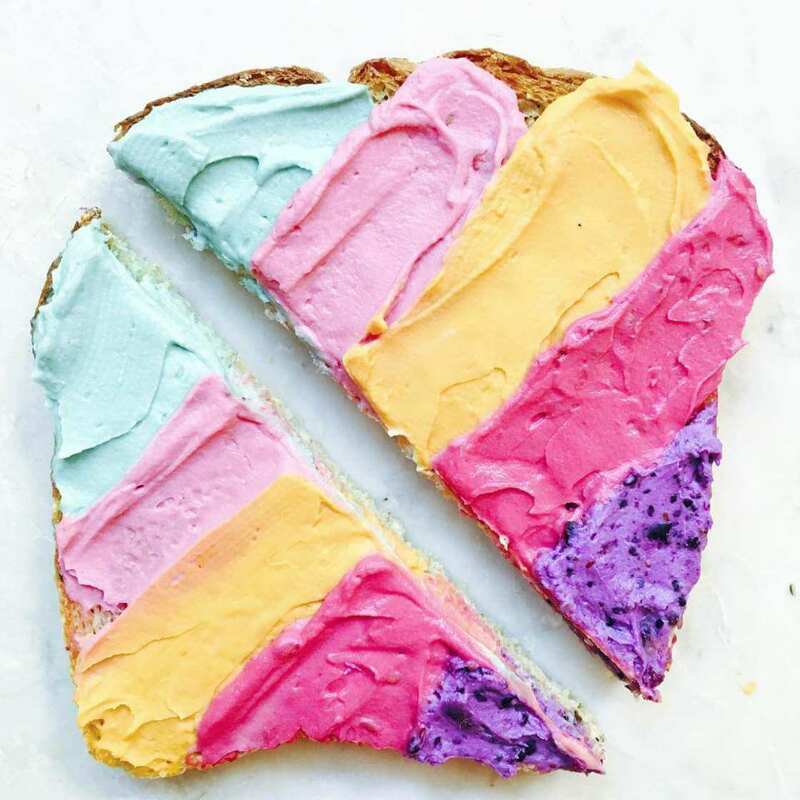 Made by food blogger Adeline Waugh, the vivid colors of pink, purple, and blue are created from good-for-you ingredients like beet juice, turmeric, spirulina, and blueberry powder. 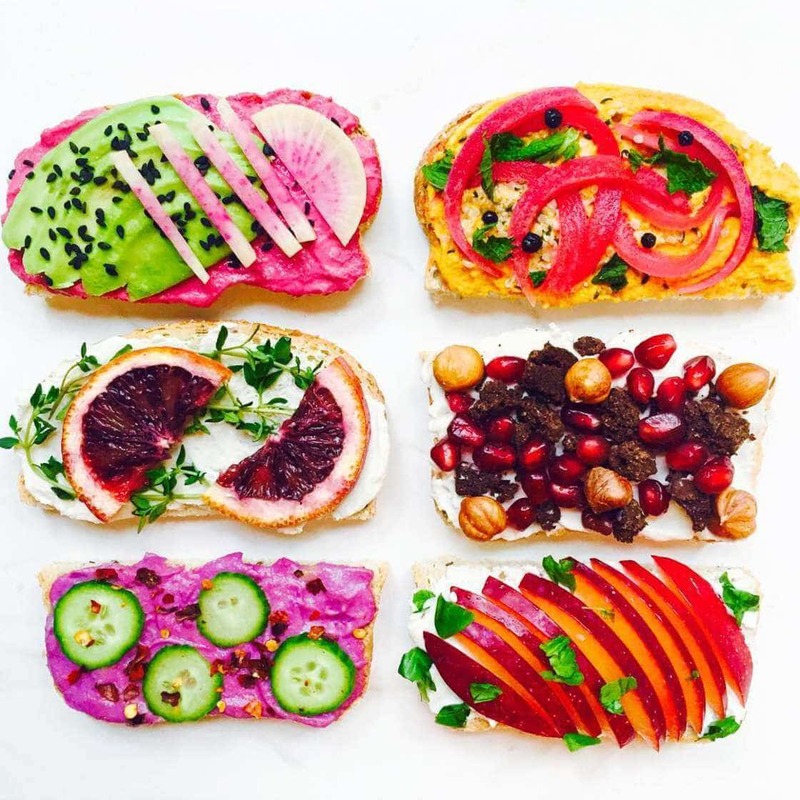 To make the creamy vegan delicacies, Waugh starts with almond-milk cream cheese. 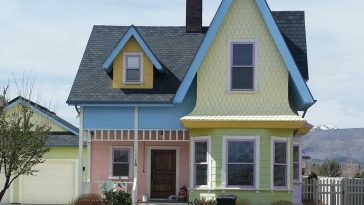 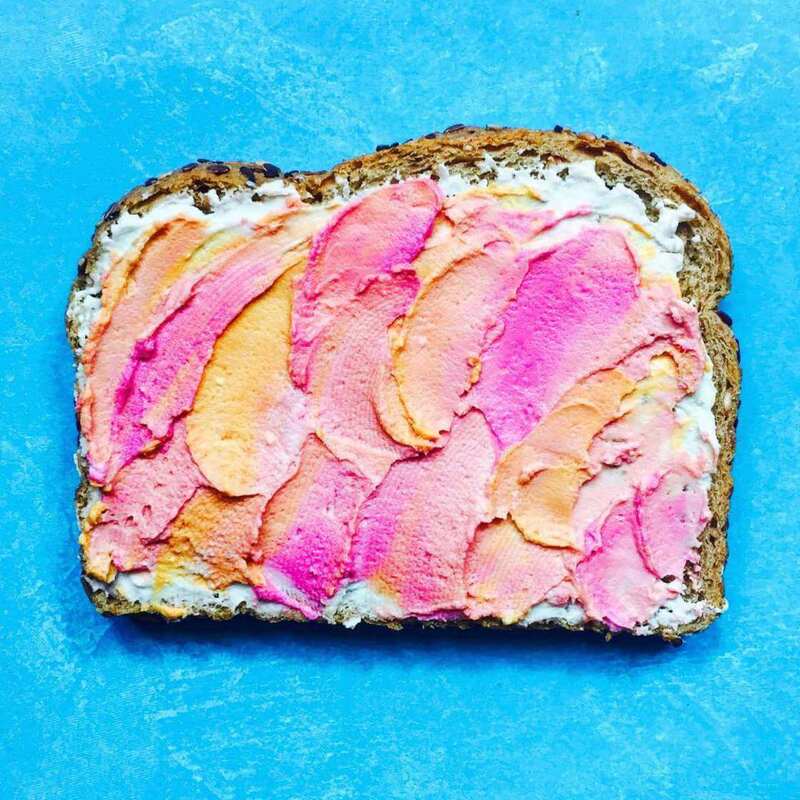 After picking her color pallet, she combines the organic dyes using the cream pops and spreads it on sprouted flaxseed toast. 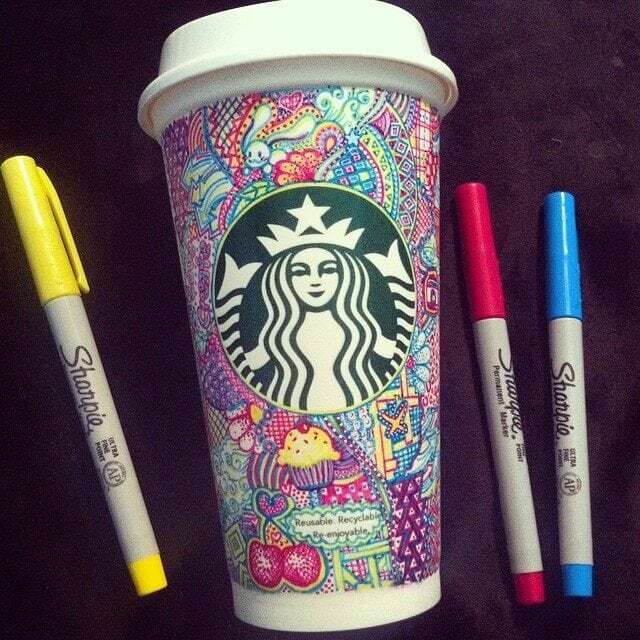 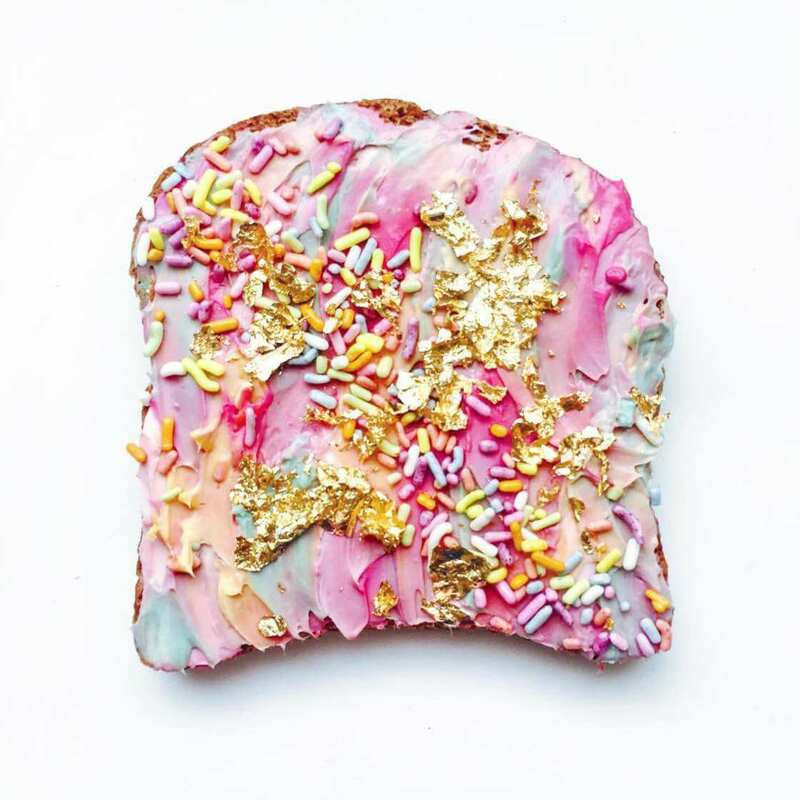 The final touches are subsequently added with opulent gold-flakes, pearly pastel sprinkles, or orange cut into star shapes. 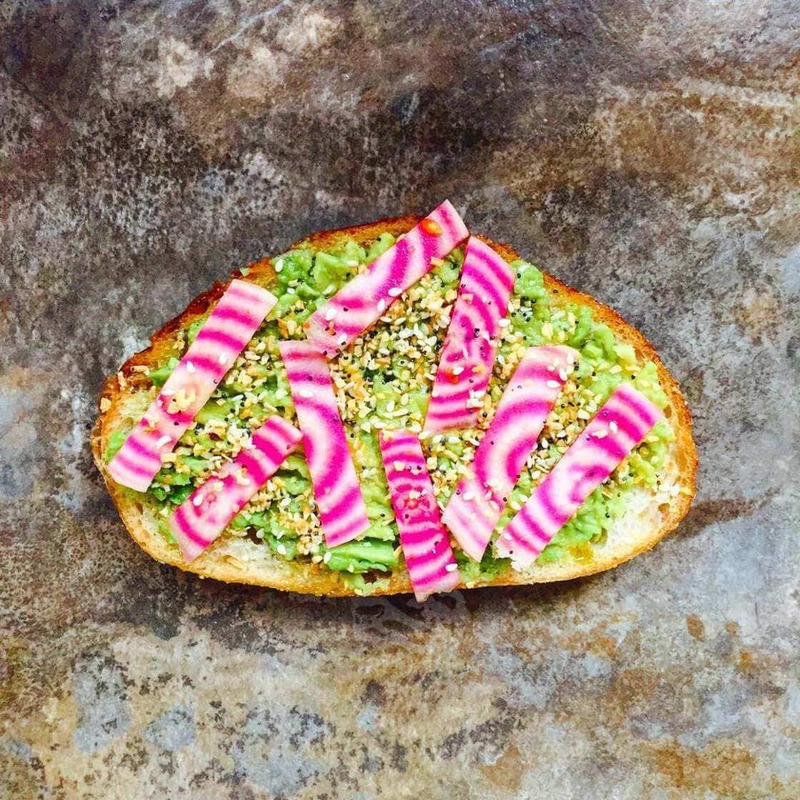 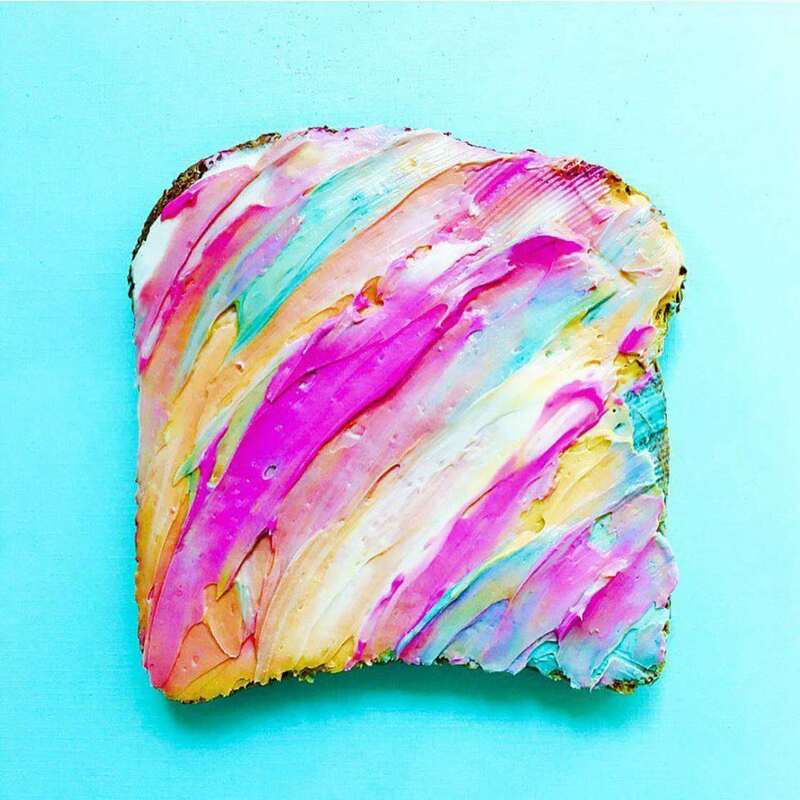 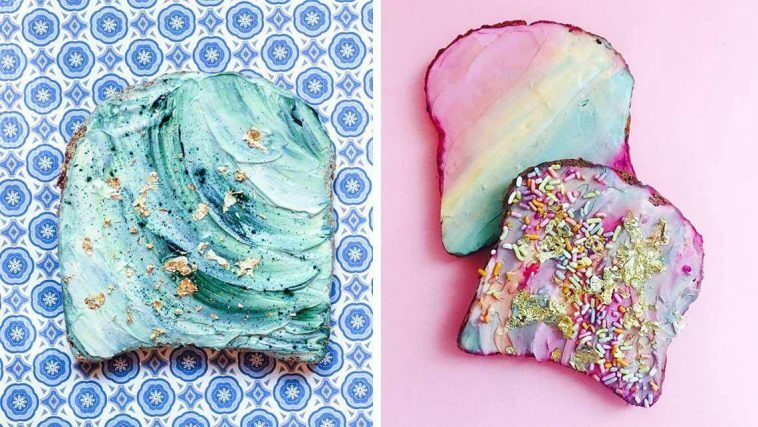 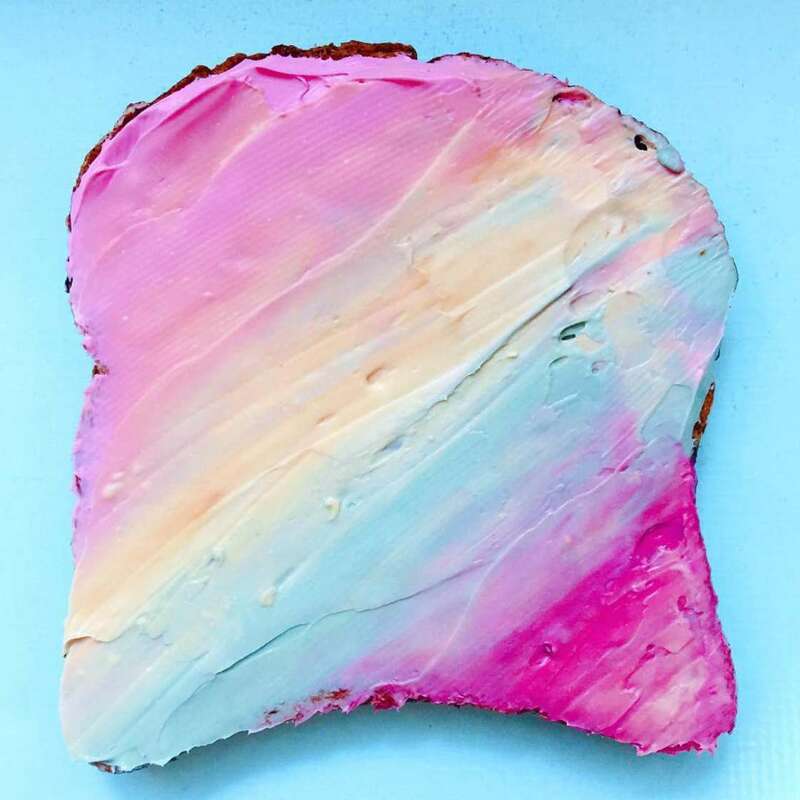 Sure, making and photographing rainbow toast is somewhat frivolous. 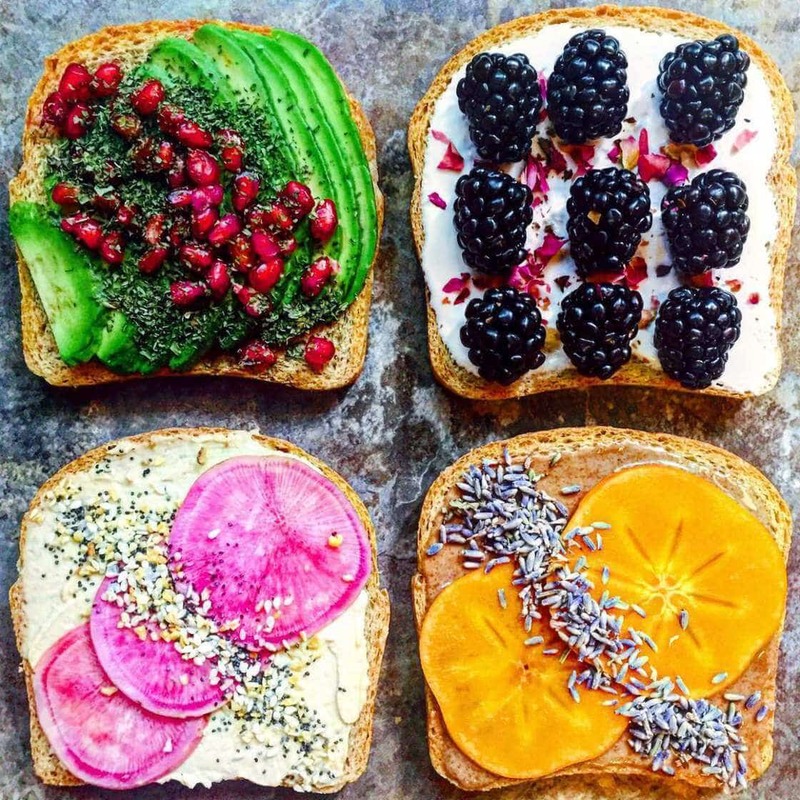 Follow her daily vegan creations on Instagram for a few severe healthy eating motivation.